Fatalities involving bicyclists on Michigan roadways jumped a whopping 57 percent in 2015, according to a new report from the Michigan State Police (MSP). Cyclist deaths increased from 21 in 2014 to 33 in 2015. Overall, all traffic-related deaths spiked by more than 20 percent, representing the highest number of fatalities on Michigan roads since 2008. Various factors contributed to the overall increase in fatalities, the MSP reported, including economy, weather, gas prices and changes in driving behavior, including more motorists being distracted by their cell phones. As for the rise in bicyclist deaths, a likely contributing factor is that Michigan does not have a statewide standard for motorists who pass cyclists. Also, even though some cities, like Grand Rapids, have implemented bicycle-friendly laws, this does nothing to promote safety unless everyone understands … and follows … the laws. 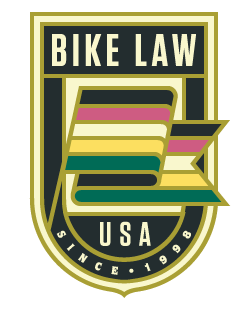 Establishing a standard for safe passing of cyclists on Michigan roadways. Protecting vulnerable roadway users by establishing enhanced penalties for injuring or killing cyclists. Assuring liability protection for persons who contract with a trail entity to provide construction, operation, or maintenance of a trail. Preventing the Raid on Natural Resources Trust Fund dollars available for trails projects. Promoting sustainable transportation funding for Michigan. Defending bicyclists rights on the roads. Speaking up for speed limit standards that take the safety of bicyclists and pedestrians into consideration. Volunteers from the League of Michigan Bicyclists, Michigan Trails and Greenways Alliance, Michigan Mountain Biking Association and Programs to Educate All Cyclists (PEAC) will be on hand at the Capitol that day, to educate legislators on key policy issues that facilitate a bicycle-friendly Michigan. Meanwhile, more detailed information about the 2015 MSP statistics will be posted at Michigan Traffic Crash Facts in the coming months.